I've been thinking a lot lately about why I started this blog (almost two years ago now; can you believe it? ); about the hole it was supposed to fill for me. And I'm wondering if it succeeded? Not really, because (or "BUT;" I'm not sure which is more accurate) I stopped writing. I can't really say exactly why; I could come up with several reasons excuses. the answers that never come...they make the question almost echo in my head. I was brought up in a Christian home. I saw my parents live a Christian life everyday, not just on Sundays. I saw them love each other, get angry at each other, kiss and hug each other, yell at each other, and one year - almost leave each other. While I knew the Biblical outline for a Christian home, it was many years later that I realized, ours didn't really fit it. My Dad was a great provider; in fact he worked so many hours and often multiple jobs to provide for us, that he wasn't there much. Mom was in charge! Bless her heart, she was in charge of everything! Us kids all day, the home, the laundry, the groceries, the meals, the finances, etc. I can remember when I was little, we would drive to Daddy's work on Fridays so Mama could pick up his check and go deposit it at the bank before any of the bills cleared (no direct deposit back then). I think maybe she had already written some of the checks, hoping (and maybe praying) that she'd beat them to the bank. It wasn't until I was married that I realized Mama and Daddy's marriage and family life couldn't be my marriage and family life. Don't get me wrong! Out of all the examples out there, they set a pretty good one! What I mean is, Daddy was never the leader of our family. He was the firm hand that no one wanted a spanking from! He was the bread winner; he was the grass-cutter and the car-washer, and the one who threw us in the air as babies. But as my own journey has lead me to research how to be a Godly wife, I struggle to know, really know, a Godly husband. I certainly don't mean this as a criticism to my father or my husband. It is, however, very true that girls tend to pick spouses like their Dads. While my hubby isn't always content to let me lead, he is gone from here about 60 hours a week. It's up to me to get the kids to and from, to make the meals and do the shopping, to set up boundaries and enforce them. My desire to be a woman of God, a woman of Grace, has actually birthed my recent struggles. I want to be the best wife and mother I can possibly be. I remind myself daily to "consider it all Joy" (James 1:2) and to do everything I do to the glory of God rather than man (or myself). As the kids get older, I feel more and more like I am having to sacrifice myself to accommodate them. So before you write me off as another selfish Mom, hear me out. I don't mind sacrificing for my kids. What I feel lately, is that I am not just sacrificing my time, my attention, my money for them; but actually sacrificing myself. ME! The person that I was before I was someones wife and someones mother. My interests? There just isn't time for them anymore. We're too busy and something has to go. Guess what it is? Something of mine; something that brings me joy; most recently, singing in the church choir because the practices were taking me out of the house another night. And try as I might, I cannot help but be resentful. Many days I want to scream out, "what about me?" "When do I get a break?" "This is NOT what I signed up for!" Knowing full well that this is sinful and of the flesh, definitely not of the Spirit. On one hand, I can (and should be) proud of who I am today. Despite my many short-comings, I have learned to control my tongue much better than I used to. For out of the overflow of the heart, the mouth speaks. Matthew 12:34 My heart did overflow, often; it was ugly! So I have learned to tame that part of my inherent nature. One thing I am still struggling with is giving up control and completely trusting God. I say I want to be a woman of God. I ask Him to reveal His plan for me. But when it comes down to it, will I accept it? Will I say "Yes, Lord" without a question? Will I give up something else I feel is essential to "ME?" So that is my struggle: feeling happy and satisfied to self when everything is going my way. Feeling guilty and rebellious in the Spirit, if I am honest, most of the time. Trying to reconcile those two things is the greatest paradox of my life. 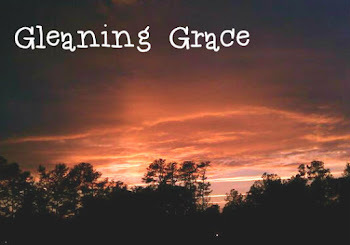 Stick with me as I search for grace, truth, and the answer to the big questions: Who am I? and Who does God want me be?